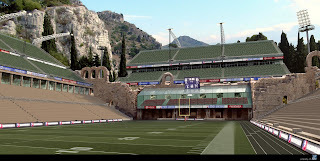 Another stadium concept. This one was an early concept with european locations in mind for the game which we didn't use as it was decided that we should only use locations in the USA. 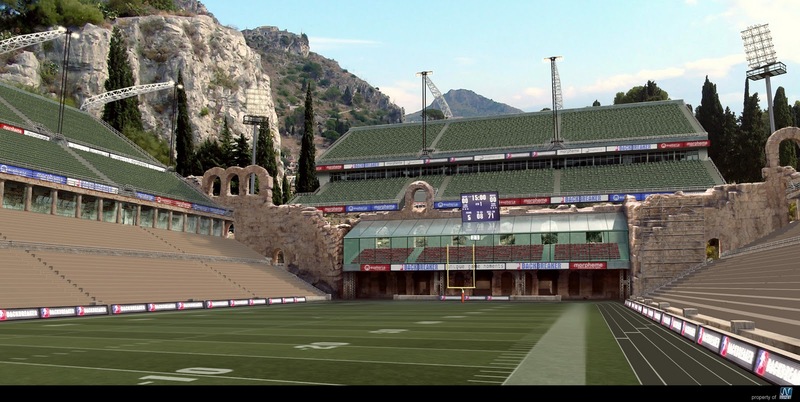 I still quite liked the idea of this stadium where new areas where added over an ancient greek stadium juxtaposing the old and the new. This is amazing!!! I would love to see some of the other European concepts if you have them.